Accent your bedroom with this chest. 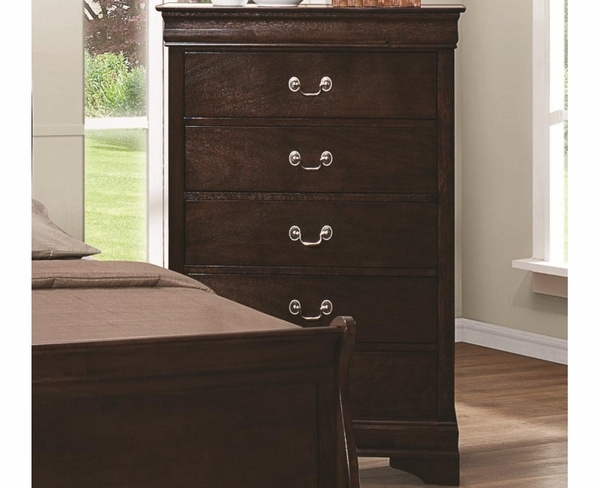 Casual yet elegant, it features five drawers for plentiful storage space. Tuck away clothing and apparel items like shirts, pants, and more within the drawers. Each drawer is decorated with a single silver bail handle for added accent, and metal on metal glides ensure easy opening and closing. Recall luxury without straying from practicality with this charming chest.